Time To Give Someone the Big Splash! 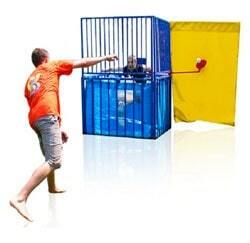 Looking for a Dunk Tank Rental in San Diego? Look no further! 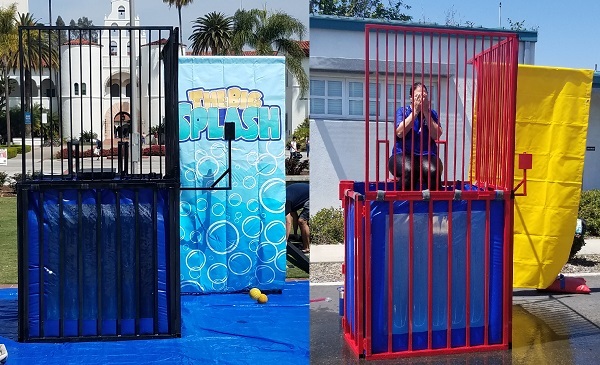 Finally, a chance to dunk the boss, friend, or spouse! This Dunk Tank can handle riders up to 250 lbs and is a gauranteed crowd-pleaser. Comes with everything needed, including throwing balls! Capacity: 1 participant per turn. Maximum weight for dunk platform is 250lbs. Minimum space: 10'L x 10'W x 10'H. Doorway/Pathway: At least 4ft wide. Water outlet: Water outlet must be within 40ft of setup area.